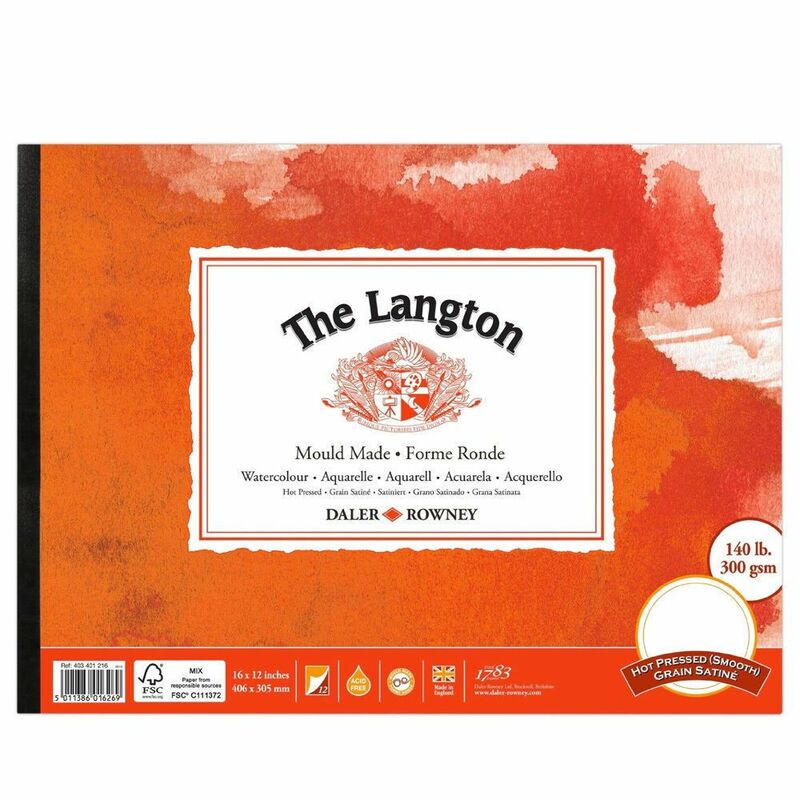 10"x 7" 12" x 9" 14" x 10" 16" x 12"
12 sheets 300gsm/140lb acid free watercolour paper Hot Pressed surface Langton paper is colour stable, mould made and acid free. The best watercolour papers are acid free to prevent the deterioration of paint and to preserve the integrity of the paper over time. The paper has a HOT PRESSED surface which is a smooth texture paper.